VALLEY CITY, N.D. (NewsDakota.com) – The Barnes County Sheriff’s Office is seeking the public’s assistance to locate an individual with outstanding warrants for their arrest. The office is seeking 32 year-old Kelly Renea Copeland. She is described as a white female, 5’05” and weights approximately 150 pounds with black hair and blue eyes. 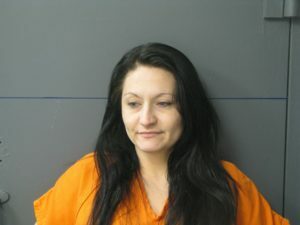 The Sheriff’s Office reports that she is wanted for Possession of Drug Paraphernalia and Theft of Property. If you have information that will assist the department, you’re encouraged to call 701-845-8530. You can remain anonymous if you wish. You can also email warrants@barnescounty.us.